Let’s make it a pair this week. Shy of a win at Homestead (and even with one), you won’t hear much about a couple of drivers who will very likely drive quietly into the sunset after the checkers next week. You didn’t hear much about them this week, for that matter, but Jamie McMurray and Matt Kenseth finished sixth and seventh, respectively, in Phoenix. Kenseth no longer wants the rigor of a full Cup season schedule, and McMurray doesn’t have a ride next year. Both entered the sport nearly two decades ago. Kenseth ran his first full Cup season in 2000 after falling just short of XFINITY Series titles in both 1998 and 1999 (both of those titles were won by friend and rival Dale Earnhardt Jr.). He won a Cup title in 2003. Because he won on consistency, he’s often blamed for NASCAR instituting the playoff system. It’s a lot more likely that new series title sponsor Nextel included that in its negotiations. McMurray never had the consistent success of Kenseth but won some of the sport’s biggest races, including the Daytona 500, Coca-Cola 600 and Brickyard 400. He also had a Cup win before his first XFINITY victory, winning the fall race at Charlotte. 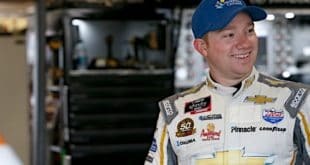 It was just his second Cup start filling in for an injured Sterling Marlin at Chip Ganassi Racing, the team he left and returned to, to likely end his career where he began it. 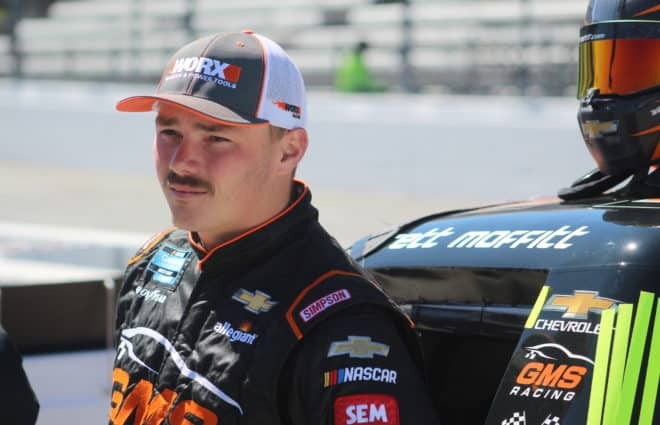 His first XFINITY win came two weeks after his debut Cup win, with the second coming a week later. Their departures are the latest in NASCAR’s inevitable youth movement. 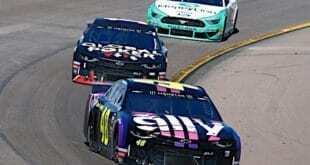 ISM Raceway most likely marks the end of two of NASCAR’s longest season winning streaks. Jimmie Johnson has won at least one race (at least two, if you’re a stickler for accuracy) every year for the last 16 years, every season he’s raced full-time in the Cup Series and most among active drivers. For Denny Hamlin, the streak is at least a race a year for the last 12 seasons, again, since his rookie year. While it’s certainly possible that Johnson or Hamlin could pull off a stunner next weekend, it’s unlikely. Neither has been that close to victory. 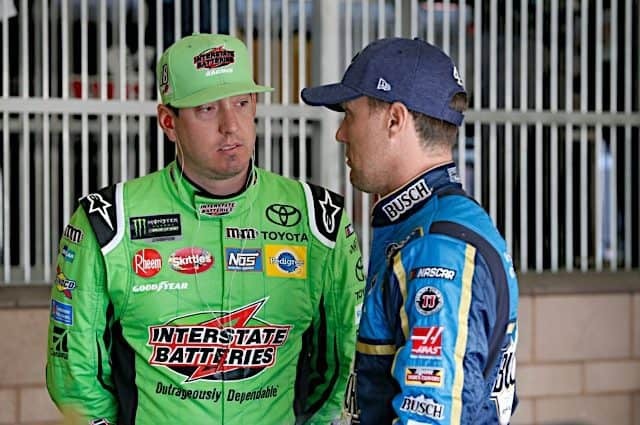 Hamlin has been a bit better than Johnson, but with a teammate in the final four, he’ll likely be relegated to playing defense for Kyle Busch. The lack of wins for two of the sport’s most consistently stellar drivers illustrates just how much the sport has changed in the span of a couple of years. 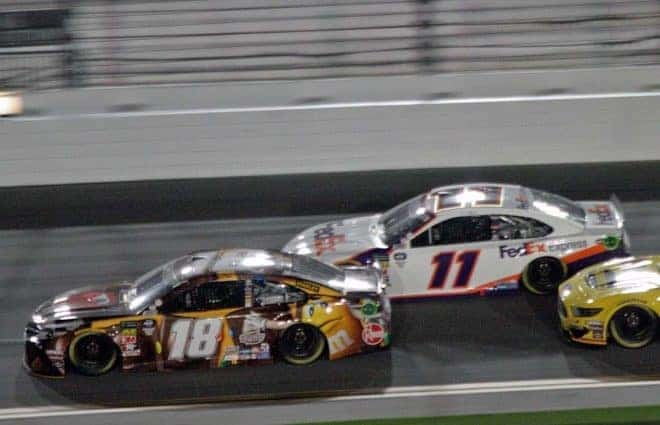 The current car is both lighter and has less horsepower than the cars that Hamlin, and more especially Johnson, had their best success in. Is that a good thing? If you’re the competition, it certainly is. Where… did Kyle Busch come from? Busch wasn’t sure he had a winning car when the race started, but he did by the time it was over. 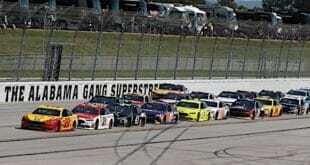 He started sixth and easily asserted himself as the race wore on, surviving issues that plagued several other title contenders to seal his ticket to Homestead to fight for a second Cup title. He led a race-high 117 laps en route to the checkered flag. Busch actually held a control of the championship field in his hands at the end of the race. Easily in position to move on regardless of victory, he could have singlehandedly eliminated his closest competition for the title in one move. No, that doesn’t mean wrecking Kevin Harvick. All Busch had to do was let Aric Almirola by on the final restart, play a little defense, and settle for second this week. An Almirola win would have eliminated Harvick on points. Busch said after the race it did cross his mind. Harvick’s Homestead numbers are intimidating, easily the best among the championship contenders. But Busch hates to lose and wasn’t going to give up a trophy, his 51st in Cup competition, to give Harvick the heave-ho. That sets up a battle royal next week. With four spots in the title fight on the line as the day began, ISM Raceway picked off the would-be contenders one by one. The first to go was Joey Logano as he slammed the wall after a flat tire took away his shot. For Logano, a title chance is already assured, thanks to a win at Martinsville, so the only thing damaged was the No. 22 car and Logano’s pride. Others were not so lucky. Clint Bowyer cut a tire in stage two and destroyed the back end of the No. 14. Kurt Busch moved to pit under caution late in the same stage, but he made a critical mistake, passing the pace car coming to pit road, costing himself a lap as a penalty. A crash with Hamlin late officially ended the elder Busch’s bid for a second title. Chase Elliott did everything he could to make up ground, winning the first stage, but he had a pit road speeding penalty late and got wiped out in the Hamlin-Busch melee. 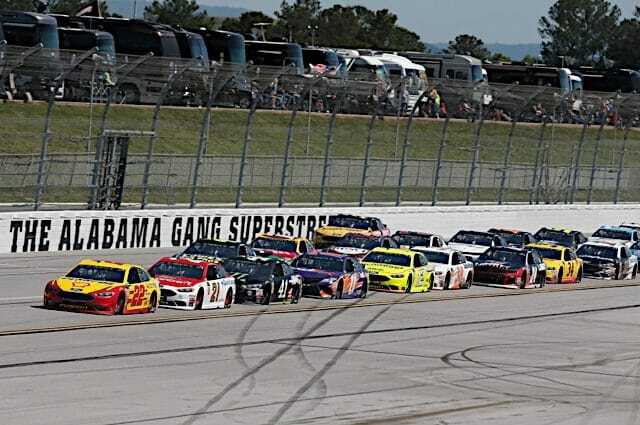 Of the four who entered the day below the cut line, only Almirola had a shot at the end, and he nearly pulled it off, racing Kyle Busch for the lead on the final two restarts. But when he was unable to close the deal, he missed the cut on points. 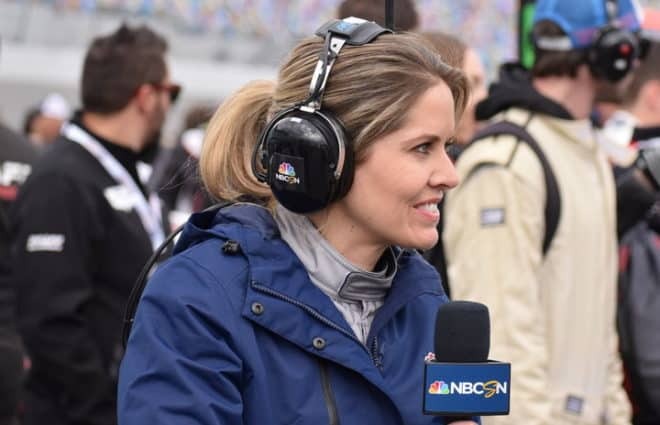 For NASCAR, the best-case scenario is at least one spot changing hands in the penultimate race of the year, because it eliminates a little predictability as the season ends, giving fans something to remember. This year, that might have been especially true as three of the four title contenders dominated the first half of the season and were fully expected to be in the final four all along, leaving just one spot in question. When fans feel as though the field is set in June, it’s proof those teams are doing something right, but that doesn’t mean it’s best for fans, particularly those of other drivers if they feel there’s no longer a reason to watch until Homestead. Why… didn’t Phoenix ace Harvick pull it off? After winning the pole at the track where he has more wins than anyone, ever, Harvick went from a shoo-in to win the first stage to limping around with a flat tire with just two laps to go. The timing could not have been worse either. Pit road was closed at the end to the stage, handing Harvick a penalty as an insult to injury. Harvick was able to roll to his pit and was serviced and sent on his way, but really, the damage was done. The No. 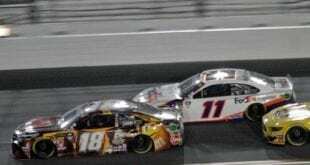 4 car dragged the right front corner on the track getting to the pits and while the damage was minor enough that Harvick could continue on to a top-five finish, he said after the race was over that the car just wasn’t the same. Coming off a 40-point penalty last week, Harvick went from assured a shot at a title to having to race his way in from a narrow three-point advantage. His finish ended up being more than enough to seal the spot after most of the other contenders fell victim to on-track incidents. It was enough, but for a team whose momentum has gone from 60 to zero in less than a week, will it really be enough heading to Homestead? How… does the Championship 4 stack up for fans? Obviously, your mileage will vary depending on your driver preferences, but this final four poses an interesting challenge for NASCAR, in part for its complete predictability. All but Logano have been title favorites all year. From a purist’s standpoint, that’s as it should be. Take away the playoffs and guess who the top four in points are? The same four who will be duking it out at Homestead. The difference is that Kyle Busch would have an all but insurmountable lead and Truex and Logano would be long since eliminated. On the other hand, this season didn’t leave much intrigue if fans were pretty sure the so-called Big Three would be in it for months. It’s also a tough spot for NASCAR in that the four are similar in many ways. Busch, with eight wins this year, is polarizing. A lot of fans love his brash, aggressive, arrogant style, but others find him irritating, citing his willingness to be aggressive but not to be raced aggressively. You can be assured that Busch will do whatever it takes to win, and that’s either the point or the problem, depending on which side of the fence you’re on. 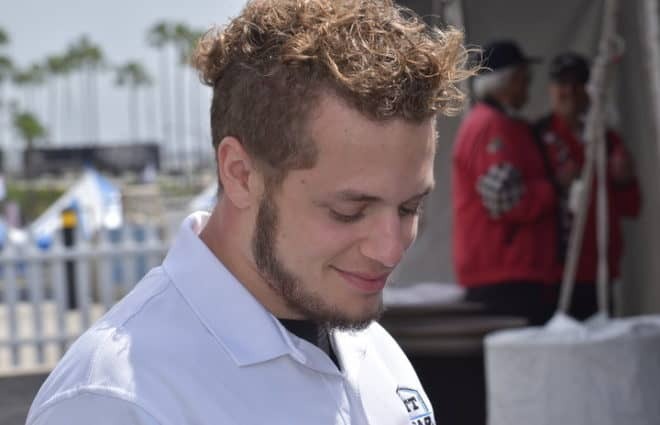 He also drives for Joe Gibbs Racing, an organization that has its detractors as well, some still stemming from Toyota’s competitiveness in the sport and a touch of perceived favoritism from NASCAR. Harvick is also brash, aggressive and arrogant in his driving style, so if you don’t like Busch for those reasons, you quite possibly don’t like him either. Though he’s mellowed some (OK, a lot) in his career, Harvick has rubbed a lot of fans the wrong way. With two wins tainted by postrace teardown failures, he may have a reputation as a rulebreaker to overcome as well. Will they forgive and forget if the oldest contender wins it all? Not likely, though he might be the choice for fans who root against JGR or Toyota as well as Joey Logano. Logano? At risk of sounding like a broken record here: brash, aggressive and arrogant driving style. Recently demonstrated a willingness to move the competition out of the way for a win, even if retaliation is likely. A lot of fans have simply never warmed up to Logano, who seems like he’s been in the series so long he has to be at least 30. But he isn’t. If the 28-year-old isn’t as polarizing as Busch is, it’s because not as many people like him. There’s no real reason other than his driving style to dislike Logano, but that pretty much puts him in the same category as Harvick and Busch. The least controversial of the final four is probably Truex. The defending champion is, if nothing else, less brash, aggressive and arrogant than the other three. He’s got the added bonus of running for a single-car team that’s shutting down despite being the defending champions due to lack of funds. The downside is, he still drives a JGR Toyota, so if you want those to blow an engine weekly, you probably aren’t rooting for Truex either. The reality is that not only are the title hopefuls predictable, they’re also a lot alike. That could make it hard for fans who don’t like their style/owners/manufacturers/faces/whatever to warm up to any of them. That’s not really a ringing endorsement for the final race of the year for a lot of fans. For those who do like them, though, it should be a heck of a show because. Really, the four best of the year are in it for the big trophy, and you can’t really ask for more than that. What happens if the #18 fails what I assume will be a R&D Facilty inspection? Two Fords, Two Toyotas and NO HMS Chevys…. it’s a great season to be a race fan! “Their departures are the latest in NASCAR’s inevitable youth movement.” Without knowing the salaries offered and other contract details, I am not sure if the youth movement is intentional, or if the younger drivers result as they are the only ones to accept lower salaries (if I recall correctly, Jamie jumped teams once, and maybe twice, because of the apparently significantly higher salary offed by his new team). I will pull for Logano, just because he is the only one of the four without a cup championship (I like to see the wealth spread around – the world would not seem right if Bill Elliott, Bobby Labonte, DJ, Rusty, and BP, among others, were not each a cup champion). I also hope a car other than the final four wins at Homestead. My condolences to the family, friends, and fans of David Pearson. Kyle’s 51 cup-level wins is impressive , but 51 is less than half of Pearson’s cup-level wins total. Kyle would have to win 54 events in the next 74 events to equal Pearson’s 105 in 574. BTW I would like to see Kyle tie DW’s total which would be one less than Bobby Allison’s real total. It would aggravate DW no end. Seeing Chase Elliott getting knocked out….. Priceless! Great race. The 7 contenders were all on the gas. Changes at ISM Raceway made the fan experience terrific. Our new seats at the start finish line are perfect.